Amy Grier: This Week's Wanna Read: The Speechwriter. Read an Excerpt. This Week's Wanna Read: The Speechwriter. Read an Excerpt. The Washington Post says it "will become a classic on political communication." The New York Times describes it as "a nice little examination of the anguish of writing" and "a marvelously entertaining book." 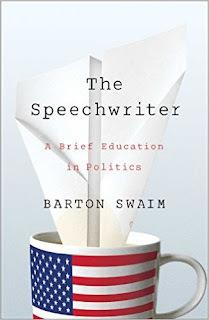 The Speechwriter is "a welcome change of pace and scope" writes The Politics Reader. I wanna read it, writes Amy. I enjoy reading books about politics that take us inside the facade of press conferences, campaigning, and today's ever-present idea of "branding" and image-making. 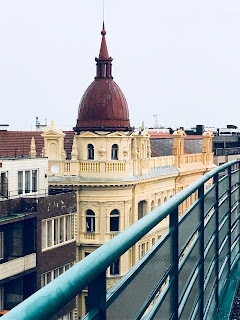 I l want insight into how human beings finding themselves in positions of power and/or influence make decisions that affect thousands or millions of people. How do those powerful people talk to each other? How do you make friends in that arena, or do you just make connections? What drives a person toward elected office or to work for an elected official? How do you live your own life when this happens? Can you? Is corruption or lying or obfuscating or covering-up just part of that life, no matter how intact your moral compass is when you begin? I have a lot of questions. Also, I think The Speechwriter, while being a revealing take on the inner sanctum of a governor's office, will also be just plain fun to read. I'll find out. Fortunately for us, Literary Hub has an excerpt from the book. Read it here.